This is the best suitable same day tour of Agra from New Delhi, in this tour you can come from New Delhi to Agra city by a super fast Shatabdi train, no. 12001, takes only two & half hours, and arrive Agra at 8. 10. AM. And after full day tour depart from Agra to New Delhi at 9. 15 P. M in same day. this is vary suitable tour for those who want to visit Agra in Same day, with three monuments Taj Mahal, Agra fort and Fatehpue sikri(45 km from Agra)/Etmad-ud Daullah(Baby Taj) , and enjoy smooth tour by a nice large Toyota innova car (only for Agra/fatehpur sikri city tour). NOTE: From new Delhi you can come to Agra City by super fast train Satabdi Express. which takes only two & half hours to reach Agra in morning 8. 10 AM. and depart from Agra City from 9. 15 PM. On arrival to Agra city, Welcome by tour guide and pick up by a nice luxury car then visit to one of the wonder of the world 'TAJ MAHAL' also known as a simbol of love, built by fifth Mughal emperor Shahjahan in the memory of his beloved queen Mumtaj Mahal. It took 22 years to built by 20 thousand workers. Here you can explore Indo-Islamic architect. Then visit Agra fort built by the third Mughal emperor Akber also known as a 'Akber the Great'. The first Muslim ruler who married to Rajput princess Jhoda Bai. here you can see beautiful palaces, arches, walls, court and gardens. Proceed to Faterpur sikri (45 km. from Agra). After this, visit Itmad-ud- daullah also known as a 'Baby Taj Mahal'. Back to railways station for Delhi. Meet up location: From your arrival on Agra cantt.railways station. End location: To your depart on Agra cantt.railways station. Personal Tour guide services (Govt.Approved). 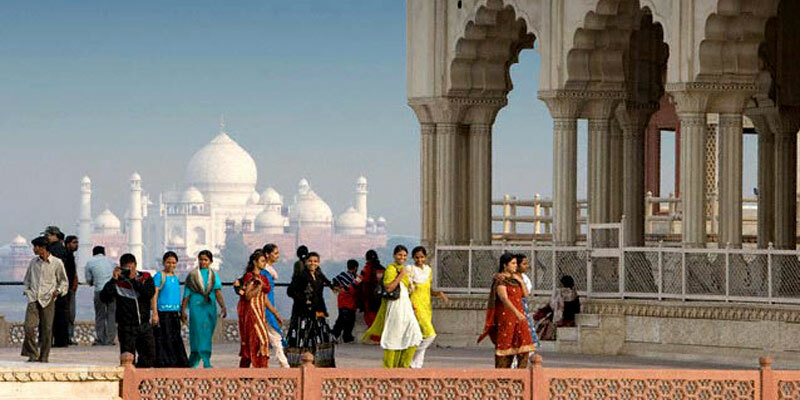 Luxury large toyota (A/C) car for full day sightseeing of Agra city. All parking charges, toll-charges and fuel charges.